Trump Denies Existence Of N-Word Tapes: Fake News! - Joe.My.God. Trump Denies Existence Of N-Word Tapes: Fake News! 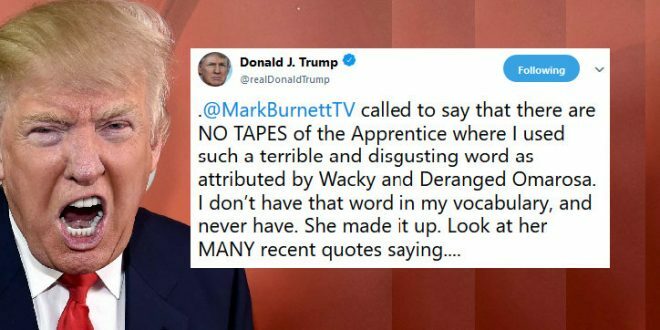 He has spent much of the last two days blasting the former “Apprentice” star after Manigault leaked a recording of her firing by Chief of Staff John Kelly on NBC’s “Meet the Press” on Sunday.